Suzanne Hennessy is a partner with the Real Estate Law Team and the Healthcare Law Practice Team. Suzanne has extensive experience in general real estate matters including commercial leasing, purchases and sales and providing general real estate advice to a variety of clients from major developers to healthcare providers. She has also provided representation to a number of financial institutions and commercial lenders, in some transactions, and borrowers in other transactions, in the origination, modification and restructuring of commercial and real estate loans to borrowers within the Northern California and Central Valley areas. In addition to her busy practice, Suzanne has been a speaker on various real estate topics including the real estate and leasing aspects of the Americans with Disabilities Act. She has been a consultant for the California Continuing Education of the Bar and is a past member of the UCC Committee for the State Bar of California. Suzanne served on the Board of Directors of Commercial Real Estate Women (CREW) and has served on the Board of Directors and Executive Committee of Fairy Tale Town. She currently serves on the Board of Directors of the American Heart Association. Suzanne is an AV® Peer Review Rated lawyer, the highest rating given by Martindale-Hubbell for legal ability and ethical standards. She was named in Sacramento Magazine's 2019 Top Lawyers List. She graduated from UCLA with a BSN in nursing and holds a J.D. from the University of California, Hastings College of the Law. Prior to joining Murphy Austin Adams Schoenfeld LLP, Suzanne was a partner with Diepenbrock, Wulff, Plant & Hannegan, LLP, clerked for the Alaska Court of Appeals, and worked in Anchorage, Alaska as an associate with the law firm of Perkins Coie. 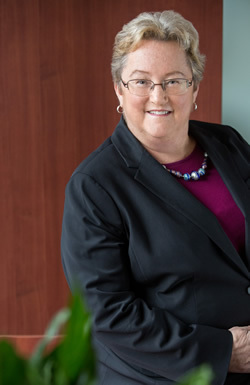 She is a member of both the Alaska and California Bar Associations, as well as a member of the Business and Real Property Section of the State Bar, the Real Property Section of the Sacramento County Bar, the California Society of Healthcare Attorneys, and the American Health Lawyers Association. “An Overview and Discussion of the Americans with Disabilities Act,” Building Owners and Managers Association of Sacramento (BOMA); National Association of Residential Property Managers (NARPM); and Institute of Real Estate Management (IREM), Sacramento, California, June 24, 1993. “An Overview and Discussion of The Americans with Disabilities Act,” Association of Commercial Real Estate and the Sacramento Women In Commercial Real Estate, Sacramento, California, May, 1993. “An Overview and Discussion of The Americans with Disabilities Act,” Southwest Region of the Commercial Investment Real Estate Institute, Sacramento, California, October, 1992. “The ADA: Are You Prepared to Comply,” The International Council of Shopping Centers, San Mateo, California, September, 1992. “D-Day on ADA: New Legislation Challenges Employers,” Sacramento Association of Health Underwriters, Sacramento, California, September, 1992. “Speaking Frankly About Unlawful Detainer, Correcting Your Judgment and The Americans with Disabilities Act of 1990,” The International Council of Shopping Centers, Sacramento, California, March, 1992.